Suzuki Vitara Running Costs, MPG, Economy, Reliability, Safety | What Car? The Vitara is an inexpensive car to run, because its engines are economical, its insurance groups are reasonable and servicing costs are sensible. In our real-world True MPG tests, the 1.6 petrol version averaged an impressive 47.7mpg, compared with a claimed 53.3mpg. The four-wheel-drive versions are slightly less efficient, but not to a notable extent. The Vitara doesn’t hold onto its value as well as rivals such as the Seat Arona, offsetting some of the savings you might make elsewhere. On the plus side, it makes up for this by offering much more equipment than its similarly priced rivals – something we'll explain in more detail in the next section. There are two trim levels available with the 1.0-litre engine: entry-level SZ4 gets you 16in alloys, cruise control and Bluetooth. 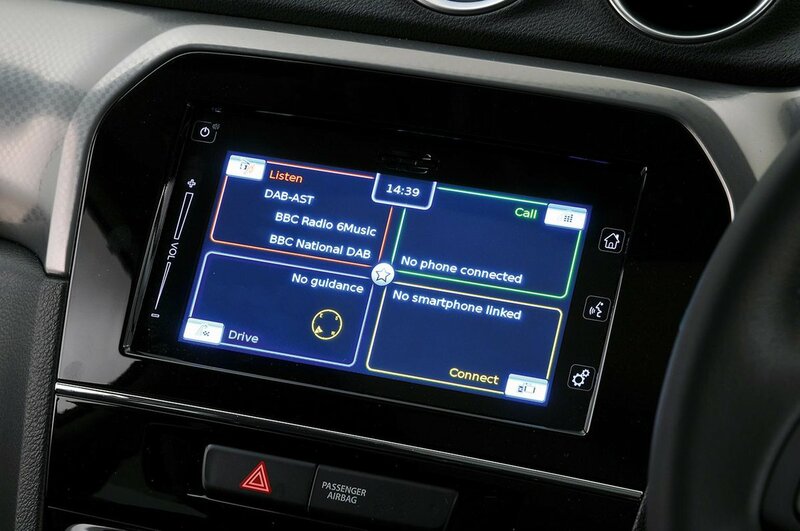 SZ-T adds 17in alloys, a sat-nav with smartphone mirroring, a DAB digital radio and a rear-view camera. The posher trim pushes the Vitara’s price squarely into Arona territory, though. SZ5 models, available with the 1.4-litre, get lots of upmarket upgrades, including adaptive cruise control, panoramic sunroof, 17in alloy wheels and front and rear parking sensors, Tempting as these trims might be, we’d suggest plumping for SZ-T – it has all the kit you really need. Suzuki ranked top (out of 31) manufacturers in our latest reliability survey, while the Vitara itself was the third most reliable small SUV, behind only the SX4 S-Cross (another Suzuki model) and the Peugeot 2008. This won’t come as a surprise to existing owners; the brand has an excellent reputation for reliability and several of its cars have performed well in previous reliability and satisfaction surveys. As with many of its rivals, a three-year/60,000-mile warranty is standard, while a 12-year anti-perforation warranty should quell any concerns about rust. 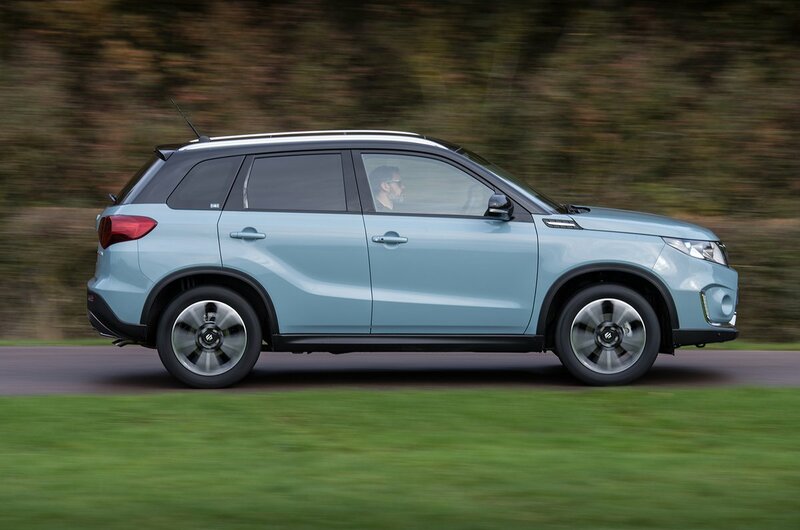 The Vitara was awarded five stars in its Euro NCAP crash test, scoring well for adult and child occupant protection. However, it's worth bearing in mind that the test was carried out back in 2015, and the Vitara would be less likely to score so highly if tested under the latest NCAP test criteria. That's chiefly because the lower two trim levels don’t get automatic emergency braking. In fact, only the top-spec SZ5 gets the real heap of safety tech, including blind spot monitoring, lane departure warning and cross traffic alert. Rivals such as the Arona and T-Roc are potentially safer options as a result. Security experts Thatcham Research awarded the Vitara four stars out of five for its resistance to theft, but only two stars for its resistance to being broken into. These are below-par scores for the small SUV class. 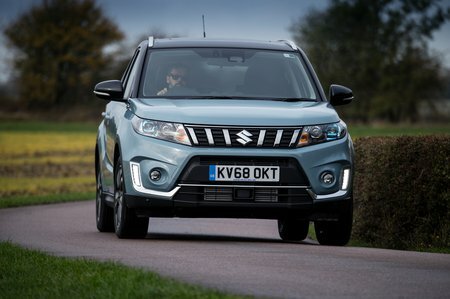 There are more upmarket small SUVs, but the Suzuki Vitara is still one of the most spacious and is pleasantly capable. Both engines are more than competent for around-town driving, while the 1.4-litre unit adds that extra bit of oomph for taking on motorway miles if required. What’s particularly appealing about the Vitara is that the range starts at an incredibly competitive price point, although moving through the trim levels can start to add up. If you’re looking for a more rounded small SUV package, the Seat Arona is generally worth the extra cash, but the Vitara shouldn’t be overlooked if you’re on a budget, so be sure to check it out before you buy.